Down and out in Paris and London, by George Orwell. “Your clothes get dirty and you can’t afford having them washed. You run out of soap and razor-blades. You start avoiding prosperous friends in the street. You discover hunger. Everywhere there is food insulting you in huge wasteful piles. You start thinking: in a day or two I’ll be starving”; this is Orwell’s description of the process of slipping into poverty. “Down and Out in Paris and London” starts in a Paris slum where Orwell lived in 1929, in a lousy hotel in the rue du Coq d’Or among the yells of Mme. Monce, loud prostitutes and children in the street. It’s a narrow street crammed with derelict buildings packed with immigrants of every conceivable nationality, most of them eastern Europeans. After leaving the Coq d’Or, and going to a pawnshop where he had to accept whatever they gave him, finding a job became imperative. He went to see a Russian friend, Boris, an unemployed waiter who thought that being English was a great asset in the pursue of a job as a waiter. However, as Boris was lame and Orwell didn’t have any experience, took weeks before they could find a job. In the meantime, while now and then Boris collapsed in bed weeping desperately as money oozed away, Orwell tried fishing in the Seine river so that they could eat, but found that fish had become cunning after the seige of Paris. Appealing to the solidarity of his fellow country men, Boris suggested that they could get in touch with a Russian secret society in Paris; apparently they were looking for articles on English politics, which could make things easier for Orwell too. So, they went to the secret hideaway, where the Russian revolutionaries demanded 20 Francs from them as an entrance fee. The revolutionaries asked Orwell about British politics and seemed satisfied. However, when Boris and Orwell went to the hideaway again, the Russian revolutionaries had vanished into thin air with the entrance fee money. He contacted a British connection -he hadn’t lost touch with the other world completely- so that he could get a job and then he got ready to leave France. But he travelled to England only to learn that his employers had gone abroad and that the prospect of a job had vanished; again, he exchanged his clothes for older ones and money. “Clothes are powerful things”, he claims as he noticed the change in people’s attitude toward him once he changes his suit for shabby clothes. Then, he starts experiencing and describing an even lower stratum of society populated by tramps. Firstly, he looked for the cheapest place to sleep, a battered looking house (know as a kip) in East London, which was full of oriental immigrants. There, he slept with several men in the same room. 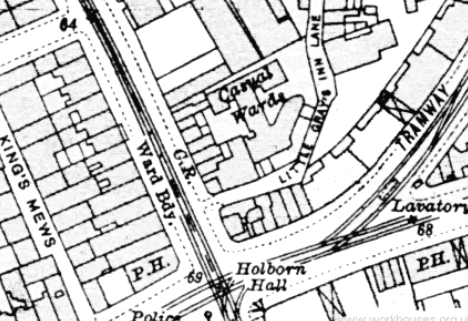 As he ran out of money -even more-, he changed his lodgings, as he only had a half penny left, and decided to go Romton, one of the London spikes (casual wards). There he met Paddy, an Irish man who had been a tramp for the last 15 years, who explained how the spikes worked. After queuing for a while at the entrance, a lady with a crucifix welcomed them inside, and gave them tea while she talked about religious subjects, and once the tea time was over, the lady insisted on their kneeling down and pray as part of the deal. “Ah, you don’t get much for nothing. They can’t even give you a twopenny cup of tea without you go down on your — knees for it”, says Paddy. 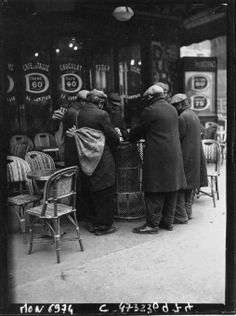 Once in the spike, the authorities only allowed each tramp to keep eightpence and they had to hand any sum to them at the entrance, but most tramps would rather smuggle their own money by tying it in a piece of cloth so that it didn’t chink. Once registered in the office, an officer who treated them like cattle lead them inside. They were searched before bathing and there were 50 stark-naked men packed in a room 20 feet square, with only two bathtubs and two slimy roller towels for all. They bathed in used water. There were no beds, they slept on the floor. 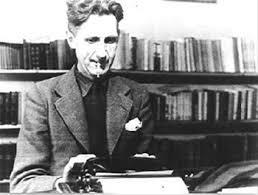 After midnight, a man began making homosexual attempts upon Orwell, after which it was impossible to go back to sleep. At 8 in the morning they were out. The meal tickets they had been given lead them to a coffee shop where they were reluctantly served tea and four slices of bread. Paddy wanted to go to the Edbury spike and he explained that the Edbury spike was similar to Romton but tobacco was confiscated at the entrance. Under the Vagrancy Act, tramps can be prosecuted for smoking in the spike. After Edbury, they went to a Salvation Army shelter, of semi-military discipline, and then they went looking for a friend of Paddy’s, Bozo. Bozo was a screever (pavement artist). He made his drawings on the pavement with artist’s chalks. He mainly painted cartoons, but had to avoid pro-socialist content due to the police and avoided religious charities, as he said it stuck in his throat to sing hymns for buns. 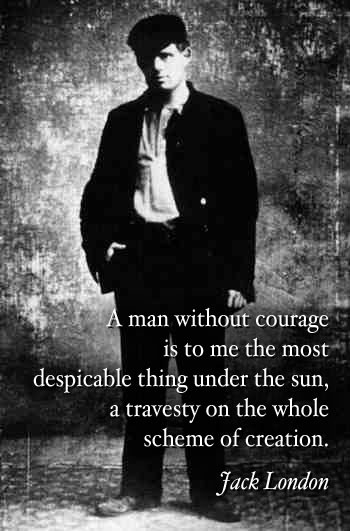 He considered himself in a class above ordinary beggars, but the enemy of society all the same. 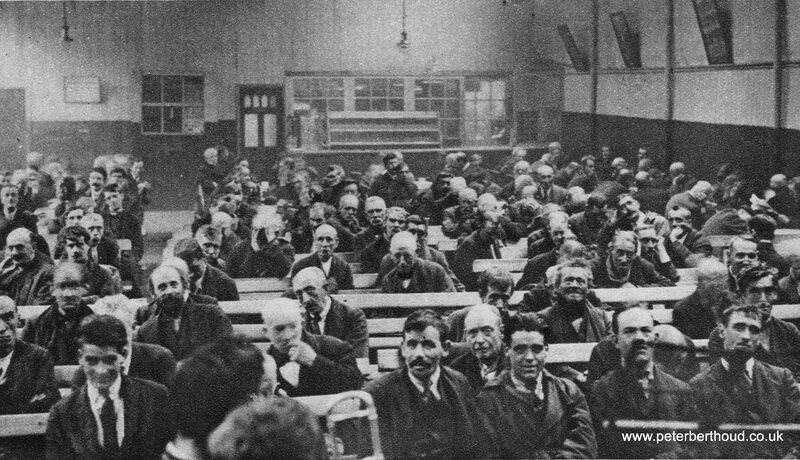 In Bozo’s lodging house Orwell meets blacks, whites and Indians from all kinds of backgrounds, including a former doctor. Bozo explained to Orwell the different types of tramps that populated the streets: Organ-grinders and acrobats, who were considered as artists more than beggars and screevers who were somewhere in between, as they were only sometimes considered as artists. He introduced Orwell to a real artist who had studied art in Paris and copied Old Masters on the pavement. “It’s shabby sort of blokes you get most off and foreigners. The English are mean”. Sometimes he talked like an art critic about the colours in nature. “I go out at night and watch for meteors. The stars are a free show. It don’t cost anything to use your eyes”. “If you got an education, it don’t matter to you if you’re on the road for the rest of your life. If you set yourself to it, you can live the same life, rich or poor. You can still keep on with your books and your ideas. You just got to say to yourself ‘I’m a free man in here – and he tapped his forehead – and you’re all right”. Bozo had managed to keep his brain intact and alert, and so nothing could make him succumb to poverty. Bozo represents an optimistic outlook quite different to the common assumptions on life on the road and poverty, an exceptional character and a remarkable man. As long as he could read, think and watch for meteors, he considered himself free in his own mind. 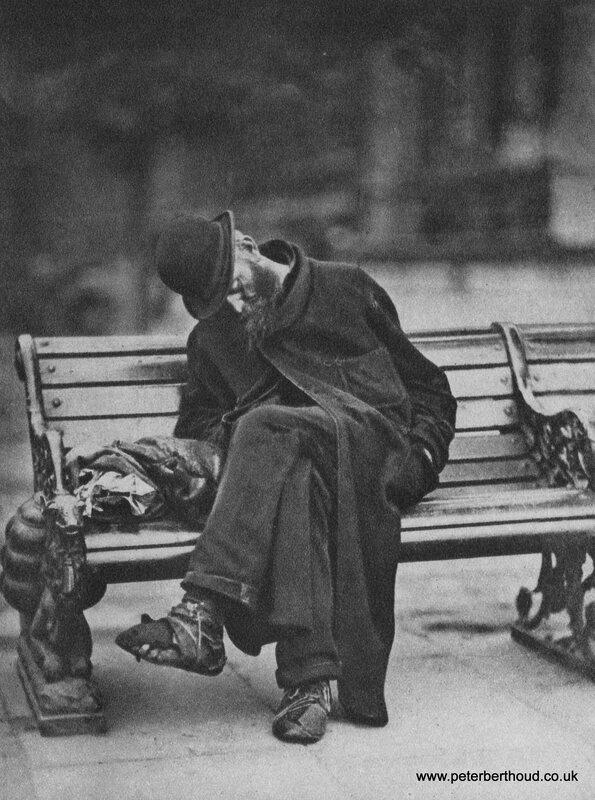 “Down and out in Paris and London” is an often humorous yet realistic narration which invites to reflection about class issues and reveals the lives of the inhabitants of the lower strata of society, full of ignored poverty-stricken people, rich with stories and experiences utterly alien to the official average citizen. 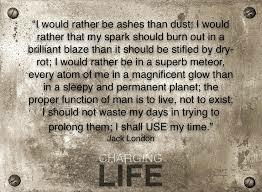 JACK LONDON, an awesome person; MARTIN EDEN, an awesome book. John Griffith Chaney, born in San Francisco on January 12th 1876, was the son of a traveling astrologer and a spiritualist. He worked while he was finishing his pre-university level studies and,among other jobs, he worked as a sea man, a fisherman and a smuggler. He was a man of action, not an intellectual, and it is said that his ideas derived from reading Kipling, Spencer, Darwin, Stevenson, Malthus, Marx, Poe and Nietzsche, lack consistency and precision: he accepted Darwinism and racism, prevalent during his time, but at the same time he was troubled that the “inevitable white man” would destroy the rich cultures of various native groups he had encountered (in the South Seas). He was a supporter of women’s suffrage and married a New Woman (second wife, Charmian Kittredge) but was patriarchal toward his 2 wifes and daughters. He was a socialist but an individualist at heart, with a drive toward capitalist success. 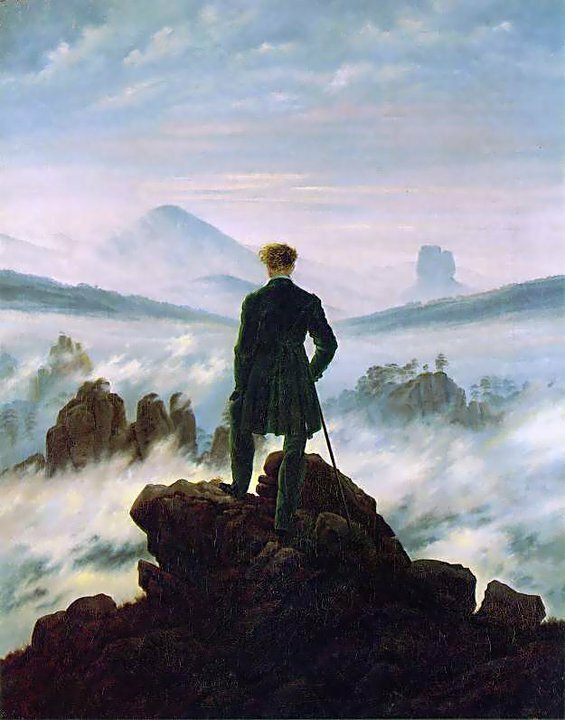 It is said that his self-taught and uninformed reading made of him a fervent socialist and a naïve fascist (because of his belief in the übermensch), but personally I disagree and think that it is quite a biased, oversimplistic and hyperbolic view, which partly prepare the ground for some of his works (for instance the one I present below). Besides, many “informed” writers, with a more extensive scholar background, have reached similar conclusions to those of Jack London. 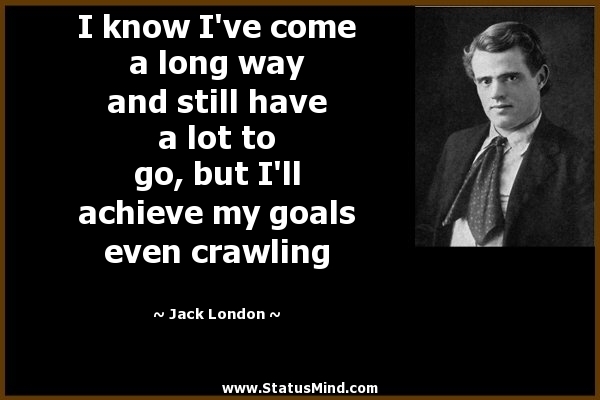 Jack London lived to the full and went to Alaska to try his luck during the gold rush in 1897-8, an experience which proved a failure as a means of becoming rich, but which was fertile in literary terms, as the experience provided him with material for a collection of short stories and a background for his novels related to the “Homo homini Lupus” concept. It was during his convalescence, as he came back ill, when he started massively reading and writing. His writings deal with human survival, nature and socialist topics. He died on November 22nd 1916, at 40 in his Glen Ellen estate, and there’s a romantic legend concerning his death. It’s said that he committed suicide because he was suffering due to his kidney condition, although it hasn’t been proved. You may get contradictory information about this fact, depending on the source. Other sources state that he died of renal failure with gastrointestinal uremic poisoning. Martin Eden is a sturdy working class mate who has spared a young high-class woman, Ruth, from having a rough time by defending her and getting into a fist fight for her sake. She is so impressed with him, as he “saves” her, and she finds him so different to the kind of men she’s used to, that she invites him over to her house to thank him. There he meets her family and has a look at her surroundings, her upbringing and her library, above all a volume of poems by Swimburne. He has his own intellectual curiosities and concerns even though he’s automatically regarded as an unambitious working class fellow who is not able to see beyond his limits. But as he puts it: “insularity of mind that makes human creatures believe that their color, creed and politics are best and right and that other human creatures scattered over the world are less fortunately placed than they”, which is of course wrong. The young couple keep in touch and have long conversations, as couples do, and she seems to strive to change him. In the meantime, due to his monumental strong will, he manages to surpass his own limitations by working and studying at the same time, until he is finally able to publish (“He hated the oblivion of sleep. There was too much to do, too much of life to live”). 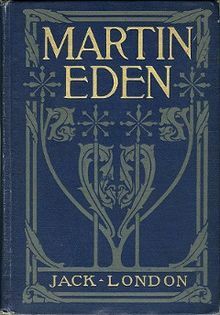 In the process, when he’s not known and he has to support himself by his physical work, the woman dismisses his works, but then her opinion changes as he manages to publish and gain a certain renown (“Martin had faith in himself, but he was alone in his faith”). Then, he seems to be someone new for her, someone she can feel in awe of without feeling embarrassed; but this whole process had made him conscious of several painful truths: “Make me like those other men, doing the work they do, breathing the air they breathe, developing the point of view they have developed and you have destroyed the difference, destroyed me, destroyed the thing you love” and “He knew now that he hadn’t really loved her. It was an idealized Ruth he had loved, and ethereal creature” and that ethereal creature belong to another world, to the “bourgeois swine” who despised him. In his journey he meets Brissenden, who also belongs to the upper-class but has somehow rebelled against it in his own way, as an individual against the masses, just like Eden has. He’s a physically weak person who lacks Eden’s will and knows it, and he strives for new thrills in life through drugs rather than through action. He’s a good friend for Eden though and they both manage to understand each other. Eden seem to be in the process of stepping into the nowhere’s land: slowly he discovers that those who once were his mates -working class people- are not so close to him now and fail to understand him, but he doesn’t belong with the bourgeoisie either.